Representatives of “moderate” rebel groups in Syria opposed to the regime of Bashar al-Assad have asked the U.S. to supply them with surface-to-air missiles to counter Russian air strikes, American media have reported. Russian observers say this is unlikely but caution that arms may be supplied by the key regional sponsors of Syria’s opposition, Turkey and Saudi Arabia. As accusations that Russia is bombing “moderate” opposition in Syria instead of ISIS targets continue to mount, the Washington Post reported on Oct. 2 that several rebel Syrian groups had asked the U.S. to supply them with air defense systems to counter Russian aircraft, which have been bombarding their positions. However, should Washington or its allies take this step, it would be a throwback to Cold War times, when the U.S. supplied arms to Afghanistan’s mujahideen warriors for their fight against the Soviet army, and could further whip up tensions in the West’s relations with Moscow. Not only this, but there is a risk that any weapons given to rebel forces in Syria may later end up being used against American interests. 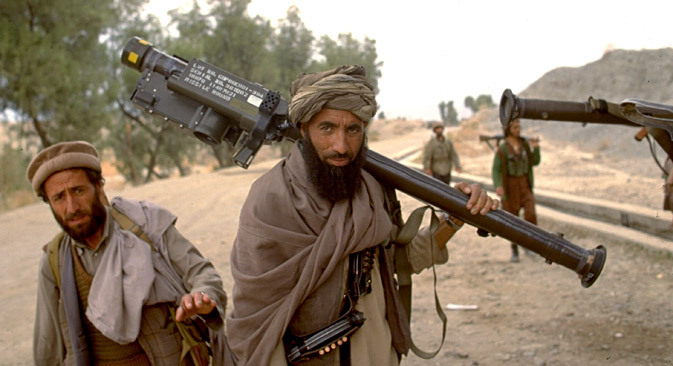 After Soviet soldiers withdrew from Afghanistan, the U.S. authorities had to buy Stinger portable surface-to-air missile (SAM) systems back from the mujahideen in the fear that they could be used against U.S. military or civilian aircraft. Andrei Sushentsov, a managing partner with the Foreign Policy agency, told RBTH that the U.S. and its allies would not be supplying Syrian President Bashar al-Assad’s opponents with portable surface-to-air missiles or any other air defense systems because “they do not want a further deterioration in relations with Moscow over Syria,” which is secondary in their plans. “The moderate opposition will not be given Stingers because in that case Assad would get S-300 systems [from Russia],” said Sushentsov. “Syrian militants may be somewhat exaggerating the United States’ readiness to start a confrontation with Russia in the Syrian conflict and are trying to revive relevant fears in Moscow,” said Ofitserov-Belsky. There is also another theory, which he described as unlikely, that part of the U.S. establishment may be not interested in stepping up confrontation with Russia and is thus trying to foil secret supplies of portable SAM (surface-to-air missile) systems or other military hardware to the “moderate” opposition in Syria. Ofitserov-Belsky went on to add that Saudi Arabia and Turkey had already supplied Syrian Islamists with portable SAM systems. In addition, a certain number of these weapons may have been captured in Libya and Iraq, although they are not very efficient against modern strike aircraft like the Su-34. “The most probable scenario is that the opposition will continue to be supplied with anti-tank and other systems that can do no damage to Russian aircraft but that could strengthen resistance to the upcoming offensive of the Syrian troops and an Iranian expeditionary force,” he said. Meanwhile, Vladimir Avatkov, head of the Center for Oriental Studies, International Relations and Public Diplomacy, did not rule out the possibility that the Syrian opposition may receive air defense systems from Turkey, saying that Ankara “may make surprise anti-Russian moves, including providing physical support to the Syrian opposition. “Turkey is bargaining and is looking for an optimal position for itself. This has to do with the foreign policy environment and the situation inside the country, where disagreements between the main political forces are growing,” said Avatkov. “Unfortunately, the economy cannot save Moscow and Ankara from geopolitical disagreements that require an urgent solution. Otherwise, we risk losing Turkey,” he said.